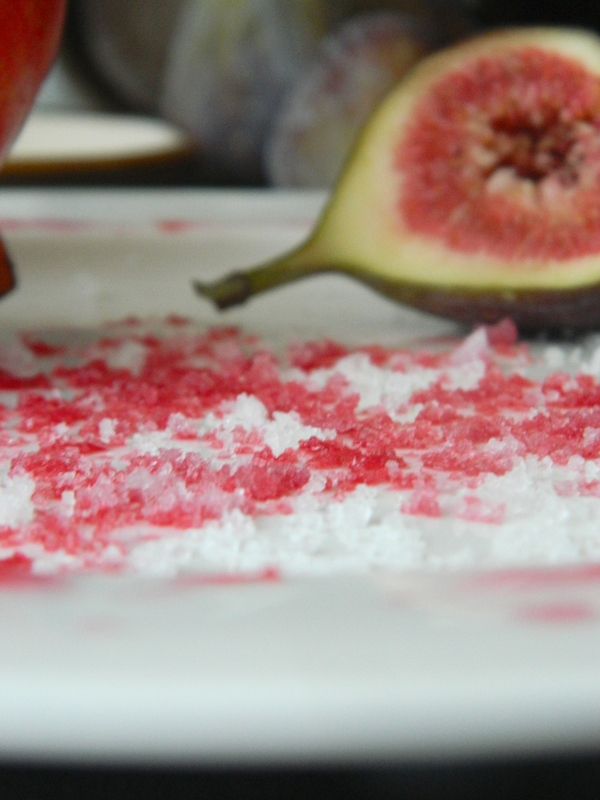 Just a quick idea for a pretty, sparky seasoning for spring – pomegranate salt. Cut a pomegranate (and I quote my mother here) ‘across its waist’ and press each half onto a plate like you’re making a potato print. Soak up the pink juice with a large pinch of rock salt or fleur de sel and leave the crystals to dry for an hour or so. 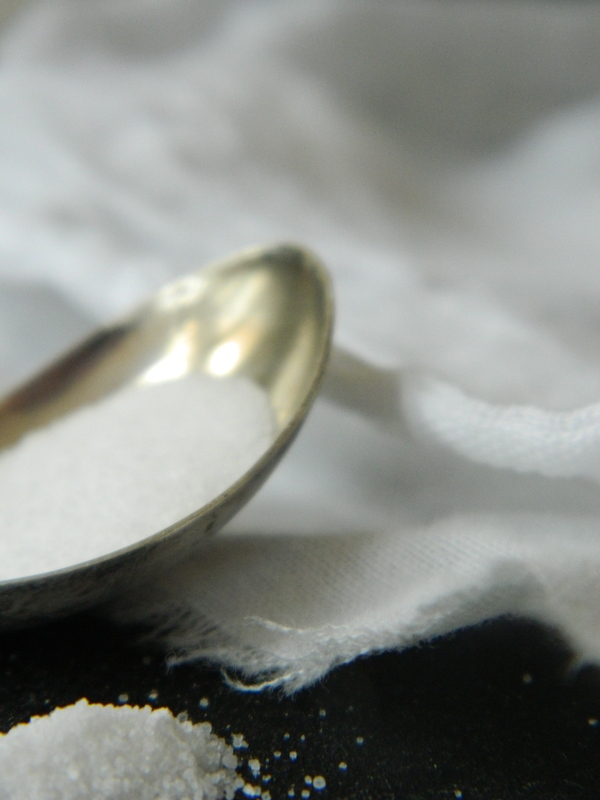 Once dried, either transfer the salt to an airtight jar or serve with dips, breads, salads and desserts. 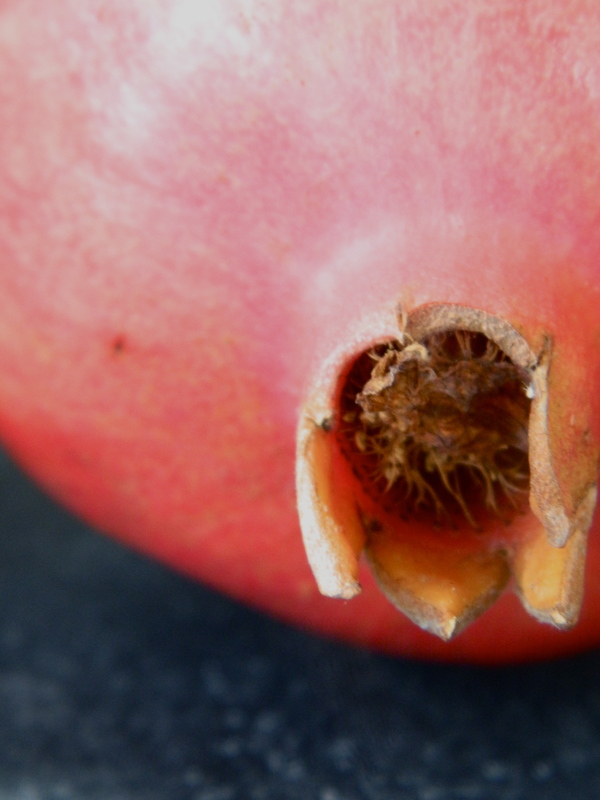 Note: the pomegranate salt will look particularly beautiful and vividly pink when set against pale foods: try sprinkling it over the labneh, dot it over a minty burrata ball, or, to give someone a sweet/salty surprise, press individual flecks into still-warm almond and cardamon cookies.